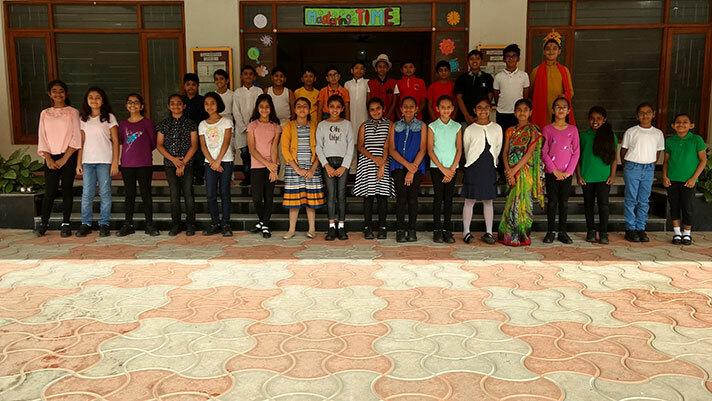 The students of Grade 5 C presented their assembly on 3rd of August. The topic was mastering time. An intriguing thought of the day was followed by a skit, which threw light on the aspects of time management like - avoiding procrastination, doing things on time etc. The main character of the skit was Chintoo, who used to postpone important things, in the end loses a golden opportunity to do well in life. 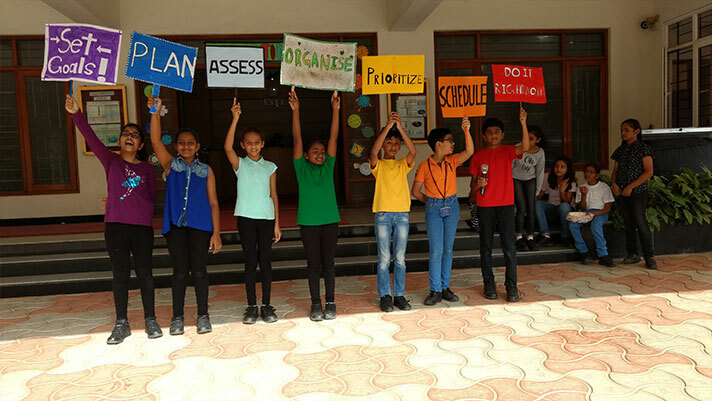 To reinforce the techniques of time management, a song was sung, which emphasized the need to set goals, plan, assess, organize, prioritize, schedule and doing it right away, right now. The seven steps to manage time were presented through the seven colours of rainbow. The assembly was wrapped up with a quiz for the audience. Overall it was a small and crisp assembly which highlighted the importance of time.